University President Lawrence S. Bacow said in an interview Friday that he is confident Harvard is on the right side of the law in a lawsuit alleging that Harvard unlawfully possesses and profits off two photographs of American slaves that are believed to be the oldest of their kind in existence. Tamara K. Lanier filed the lawsuit against Harvard on March 20, alleging that the University illegally maintains the daguerreotypes, which she says depicts her great-great-great grandfather, Renty, and his daughter, Delia. She also alleges that Harvard played a role in perpetuating slavery. Harvard biologist Louis Agassiz commissioned the photos in the 19th century in an attempt to prove a theory of white superiority, according to the complaint. Bacow took issue with Lanier’s claims that the school has “refused” to acknowledge its ties to the American slave trade and was profiting off of the images. Visit thecrimson.com. Follow @TheCrimson on Twitter. TODAY’S EVENTS Examining BDS & Economic Boycotts 5-7 p.m. Join Professor Cornel R. West in CGIS South for a discussion on the efficacy of the Boycott, Divestment and Sanctions movement that targets Israeli policy in the West Bank and Gaza. BDS cofounder Omar Barghouti will also participate via live-stream. Conversation With Larry Summers & Gary Hart 6-7:15 p.m. Heads up all Ec10 students: stroll down to the Institute of Politics to hear former Treasury Secretary and University President Larry Summers discuss leadership and progressive economic policy with former Senator Gary Hart (D-Colo.). Holden Matthews is facing arson and hatecrime charges following the destruction of three predominantly black churches in Louisiana. Prosecutors allege that Matthews set the fires over a span of 10 days. Matthews pleaded not guilty to all of the charges. DAILY BRIEFING ‘Yes She Can’ Discussion 7-8 p.m. Head to the Women’s Center to hear Andrea Flores ‘10 discuss her experience working in the White House during the Obama administration. Flores, who was the first Latinx Undergraduate Council president in Harvard history, is featured in “Yes She Can,” a collection of writings by female Obama staffers. University President Lawrence S. Bacow said in an interview Friday that he is confident Harvard is on the right side of the law in a lawsuit alleging that Harvard unlawfully possesses and profits off two photographs of American slaves that are believed to be the oldest of their kind in existence. Tamara K. Lanier filed the lawsuit against Harvard on March 20, alleging that the University illegally maintains the daguerreotypes, which she says depicts her great-great-great grandfather, Renty, and his daughter, Delia. In other news, though much of the Faculty of Arts and Sciences has seen recent increases in the proportion of underrepresented minority tenure and tenure-track faculty, the Sciences division continues to lag behind. Moderate Democrats are looking for ways to prevent Senator Bernie Sanders (I-Vt.) from winning the Democratic nomination for president, fearing that his high fundraising numbers and loyal base of voters position him well to win the contest. Some Democrats fear nominating Sanders could split the party. Felicity Huffman Faces Up to 10 Months in Prison Over Admissions Scandal Prosecutors announced their plan to seek up to 10 months in prison for actress Felicity Huffman for her role in the recent nationwide college admissions scandal, code-named “Operation Varsity Blues.” Huffman, who pleaded guilty last week, admitted to paying $15,000 to help her daughter get into college. “Leftist and anti-fascist” protesters held a demonstration Monday evening before controversial conservative commentator Candace Owens delivered a speech at the University of Pennsylvania, the Daily Pennsylvanian reported. One student group, the Penn Association for Gender Equity, also held a silent demonstration ahead of Owens’s speech. In her speech, Owens criticized the #MeToo movement and said the Democratic Party misleads black people. Two students admitted to Yale University were struck by a car in an apparent hit-and-run Monday afternoon, according to the Yale Daily News. The students were attending the first day of Bulldog Days — Yale’s annual event for prospective students. Paramedics treated the two students and then transported them to Yale New Haven Hospital, though a spokesperson told the Yale Daily News the students’ injuries were not serious and that they would return for the remainder of Bulldog Days. Four members of the Columbia College Student Council resigned from their positions Thursday evening after failing to impeach the council’s student services representative for alleged rules violations in the most recent election cycle, the Columbia Spectator reported. Council member Heven Haile said the representative, Henry Feldman, attempted to “exclude black and brown voices” by allegedly filing a false report against her to the Columbia Elections Commission. The commission cleared Haile of these findings, and she maintained the report was intentionally false and racist. Copyright 2019, The Harvard Crimson (USPS 236-560). No articles, editorials, cartoons or any part thereof appearing in The Crimson may be reproduced in any form without the express written permission of the President. The Associated Press holds the right to reprint any materials published in The Crimson. The Crimson is a non-profit, independent corporation, founded in 1873 and incorporated in 1967. Second-class postage paid in Boston, Massachusetts. Published Monday through Friday except holidays and during vacations, three times weekly during reading and exam periods by The Harvard Crimson Inc., 14 Plympton St., Cambridge, Mass. 02138 Weather icons made by Freepik, Yannick, Situ Herrera, OCHA, SimpleIcon, Catalin Fertu from flaticon.com is licensed by CC BY 3.0.
CORRECTIONS The Harvard Crimson is committed to accuracy in its reporting. Factual errors are corrected promptly on this page. Readers with information about errors are asked to e-mail the managing editor at managingeditor@thecrimson.com. Students Denounce Tenure Rejection has come up for tenure at the school in the past two decades. Ragab — who is the director of the Science, Religion and Culture program at the Divinity School — did not respond to multiple requests for comment. The Divinity School does not appear to publish its tenure policies on its website. Proud to cover Harvard for 146 years and counting. Like The Crimson on Facebook. mented numerous formal and informal mechanisms to ensure minority applicants are fairly considered in searches. “It just can’t be solved by just saying ‘Okay, we’re going to hire “x” number of different faculty,’ because if there isn’t a pool of viable, strong candidates, it is not a good thing to hire a weak candidate,” Lieber said. that engineering has become more diverse, she still believes black students are not “properly represented” in either engineering or the sciences. “I have noticed that SEAS is more diverse than the life and physical science departments, but from what I see, I still do believe that the number of Black faculty members is at an alarmingly low level in both,” she wrote. cess and follows a roundtable discussion within the Housing Committee last week. City Councilor E. Denise Simmons called Tuesday’s meeting to order, and urged councilors and residents alike to “remember the human element” during the process. “Ultimately, we’re talking about people, families,” she said. “And we’re talking about doing what we can to allow our affordable housing to be built in the fairest way possible throughout our city.” Many advocates for the overlay referenced the housing crisis in Cambridge, which they said made immediate expansion of affordable housing urgent. Among them were more than a dozen Harvard affiliates, including College students. The sights and sounds of Harvard. demands behind which they rally. Writing off protest as unreasoned — and here the proximity of reason with reasonableness should ring strongly — presents itself as dismissive to student protesters, despite the hopefully deep considerations and conversations being had about these important issues at the University level. As such, we urge Bacow and other administrators to think more broadly about what thoughtful discourse means, historically and in this present moment. can-American studies program and affordable housing that Harvard built on Mission Hill, but also led to the ouster of ROTC from Harvard’s campus for more than 40 years. Student activists cannot take this power to change lightly. Precisely because of this capacity to create such pivotal and long-lasting change, students must consider carefully about why, on whose behalf, and how they protest. They must have a clear sense of what they demand and how those demands will impact the world around them both for better and also for worse. Finally, student activists should operate cooperatively. The 1969 protest boasted large numbers — thousands of students gathered in Harvard Stadium a few days after the University Hall sit-in. Coalition building between movements is as key today as it was in 1969, both because issues rarely exist in a vacuum and — as the 1969 protesters demonstrated — large movements attract considerably more attention. We encourage students to continue to speak loudly and passionately for their beliefs as they work together to make this campus and the world beyond it a better place. And we encourage them to do so always with one eye fixed on the past and the other on the future they hope to build. This staff editorial solely represents the majority view of The Crimson Editorial Board. It is the product of discussions at regular Editorial Board meetings. In order to ensure the impartiality of our journalism, Crimson editors who choose to opine and vote at these meetings are not involved in the reporting of articles on similar topics. es still take out up to $3000 dollars per year from our already-tight budgets. Further, the MBTA subsidy applies only during the semesters, and our lab experiments do not stop during the summer months. The absence of any MBTA subsidy during the summer is a burden for those of us who cannot afford to live closer to campus with our families. Our Harvard Graduate Students Union has been a critical vehicle for making these needs known to the administration, but we still have a long way to go. Our union and successive union contracts provide an opportunity to consolidate and document the vast improvements to working conditions for student parents. Having these provisions listed in a union contract may make it such that accessing benefits — such as the $6516 onetime-payment — is not a matter of word of mouth. We urge the administration to realize the values it professes in inclusion and equity by completing our union contract by the end of this academic year. It is ironic that, even at the world’s wealthiest university, those of us doing cutting-edge research to advance human healthcare and improve the human condition continue to struggle to access basic housing, transportation, and healthcare services for ourselves and our loved ones. With both of us expecting to graduate the coming year, a completed union contract with provisions that finally make graduate study viable for student parents would be a fitting way to conclude our graduate careers. In the meantime, Harvard could define itself as a leader in supporting graduate workforce, adding heft to its values of diversity, equity, and inclusion. —Ryan Kuzmickas is a tenth-year graduate student in Biological and Biomedical Sciences. Yuancheng Lu is a fifth-year graduate student in Biological and Biomedical Sciences. t is no secret that Harvard undergraduates are believed to lack humility. Widely perceived as high-achievers but also entitled and elitist, we jokingly embrace this stereotype, often alluding to it in memes or self-deprecating humor. When asked where we go to college, we murmur “a school in Boston” as we believe that this is somehow less pretentious than the honest, straightforward “Harvard.” Such cosmetic charades are harmless; however, our lack of humility has translated into a lack of respect for the very things that we pretend to be modest about. It is clear that we recognize that we will graduate Harvard with a valuable academic education, but we sometimes seem to forget whence this education comes. In the past semester, there have been a number of undergraduate protests against the denial of tenure to various Harvard professors. I have no specific opinion about any one of these cases and I have a great deal of respect for any Harvard faculty member and their body of work. Our lack of humility has translated into a lack of respect for the very things that we pretend to be modest about. It is clear that we recognize that we will graduate Harvard with a valuable academic education, but we sometimes seem to forget whence this education comes. But I do find it troubling, and — depending on my mood — almost comical, that 20-year olds with not even a bachelor’s degree yet think that they are qualified to opine on the scholarship worth of an academic — oftentimes more qualified even than a committee of tenured faculty, each of whom has striven for years to establish leadership positions in their chosen fields. And of course, the forcefulness extends beyond promotion decisions to termination demands, as, for example, in the insistence that a faculty dean be “removed” due to his choice of professional client. In his remarkable “A Letter to the Director of the London School of Economics” penned in 1968 during the student protests at that institution, the philosopher Imre Lakatos, makes a distinction — that still resonates 50 years later — between student demands for free expression of complaints and criticism (including of academic matters) and student demands for power over appointments and syllabi. Lakatos views the former as entirely valid and justified, but the latter, he argues, “surreptitiously” converts a “revolt against academic paternalism into a political revolt against academic autonomy.” One may not agree in toto with Lakatos’ analysis, but the context in which he wrote is important: This was a man who had seen first hand the demands of Nazi students to suppress “Jewish-liberal- marxist influence” expressed in the syllabi, and later the efforts of the Lysenkoists and the Soviet Communist Party to murderously suppress dissenters in genetics research Today, the general sense of entitlement that we feel — “the coddling of the American mind,” as described by Greg Lukanioff and Jonathan D. Haidt — continues to be discussed by many academics and students alike. No university is perfect. As students, we must not be apathetic or blindly compliant to every University policy, and it is important that we think critically and appropriately address problems when we see them. Lukanioff and Haidt discuss the increasingly common phenomenon of American college students demanding “protection” (i.e. trigger warnings) from words and ideas that they don’t like in the name of improving mental health. The duo argue that such systems of protection are not only deleterious to education and freedom of thought, but also harmful to students’ emotional well being. I will leave it to the reader to evaluate Lukanioff and Haidt’s claims, but one cannot deny that undergraduates today are pampered and cosseted by their institutions. While I have yet to hear a Stanford student say that they “go to school in Palo Alto,” it is clear that these attitudes are not unique to Harvard students. No university is perfect. As students, we must not be apathetic or blindly compliant to every University policy, and it is important that we think critically and appropriately address problems when we see them. However, we must also be aware of our (lack of) stature and knowledge, and appreciate that we have much to learn from those who have paved the way for us to be here. As an old proverb states: “He who knows not and knows not that he knows not is a fool; shun him.” Let us know that we indeed know not, and be grateful that those who know are willing to educate us. —Aditi Sundaram ’19 is a joint concentrator in Mathematics and Philosophy in Eliot House. Her column appears on alternate Wednesdays. bargaining update. The University, however, contends that its proposals are “responsive” to the union’s requests. “The University has put forward a strong set of economic proposals that are responsive to HGSU-UAW’s stated priorities and further recognizes the significant role student workers have in Harvard’s mission, while also ensuring their opportunity to succeed in their academic pursuits,” University spokesperson Jonathan L. Swain wrote in an emailed statement. The union also criticized the University’s proposals for childcare and a set minimum wage across Harvard, calling them inadequate. 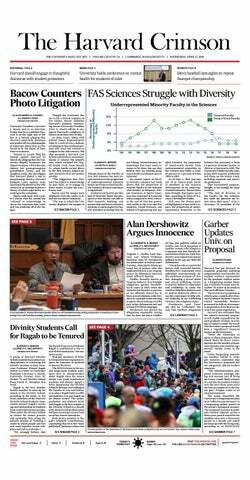 Gripper wrote that while more than 400 student workers at Harvard are parents, Harvard’s proposal would only cover the cost of childcare for 14 children. Gripper also said the University’s $15 minimum wage proposal is lower than current standards in most departments. Current Massachusetts law stipulates a $12 hourly minimum wage. The living wage at Boston is calculated to be $14.85, according to the City of Boston. 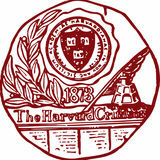 Swain wrote that Harvard’s proposal would ensure salary increases. ees also had an opportunity to engage in five smaller breakout sessions, which facilitated conversations about mental health. The latest on music, film, theater, and culture. That’s artsy. program’s history has Harvard won back to back Beanpot Championships. This game also is the fourth time that the Crimson have been in the Beanpot Championship in the past six years. In a year chock-full of incredible individual performances that rank on the national NCAA leaderboards, this game is a chance to break one more program record, this time as a team. The strong season so far shows the commitment and dedication of the baseball program as a whole: in the offseason, the practices, and the games. The team is excited to play at one of the most famous parks in the sport. The players collectively anticipate the nerves that surround the game, but are prepared to go out and perform to the best of their ability. For many of the upperclassmen, their last time at Fenway was clouded with bad weather, and this game represents possibly their last chance to play in the historic ballpark. “I’m excited to be back at Fenway, because my sophomore year the game got cut short due to rain,” said McColl on the opportunity to play at Fenway, “it doesn’t look like that will happen this year so hopefully we can defend our Beanpot title.” All ticket proceeds from the game will go to support a great cause, the Pete Frates 3 Fund, named after a Boston College baseball captain who was diagnosed with ALS. The game is set to start 45 minutes after the consolation game between Boston College and Northeastern ends at approximately 5:30.
the greatest player ever do what he did in his prime, but today in this age.” That being said, it was Tiger’s journey over the years that made this Masters victory truly special. A combination of personal issues and injuries derailed his career. It appeared he would never again return to good form and reach the pinnacle of the golf world. However, Tiger slowly crawled his way back, taking on hurdle after hurdle, and experiencing setback after setback. His wait lasted longer than a decade, but eventually it all came together for him. This was Woods’s first major championship since 2008 and first Masters since 2005. The grit he displayed by staying true to this course is an inspiration for athletes and non-athletes alike. Not many people have what it takes to replicate such a feat in the face of so much adversity.